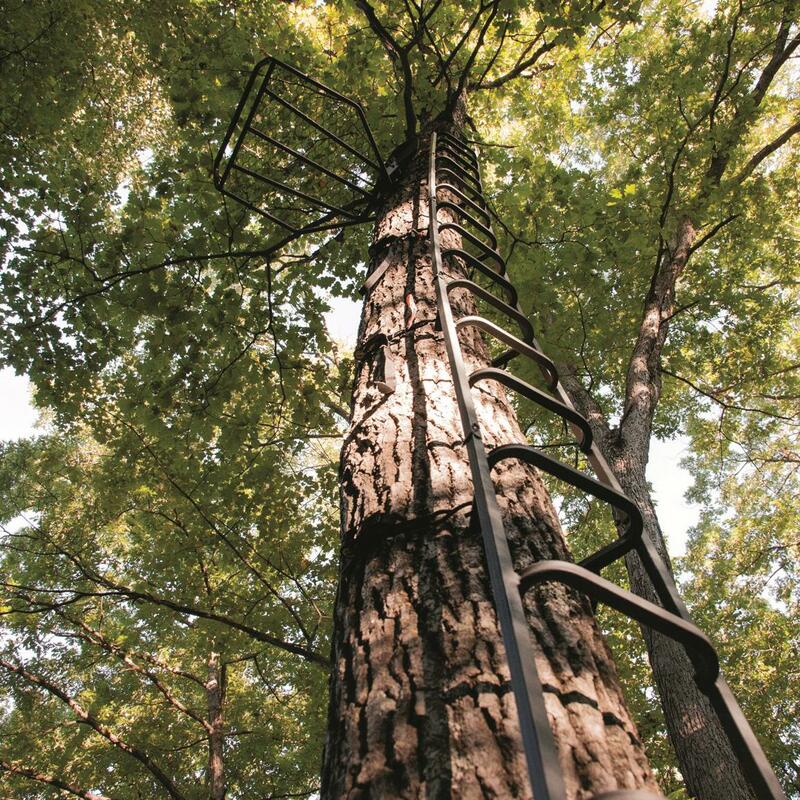 The safe way to climb! 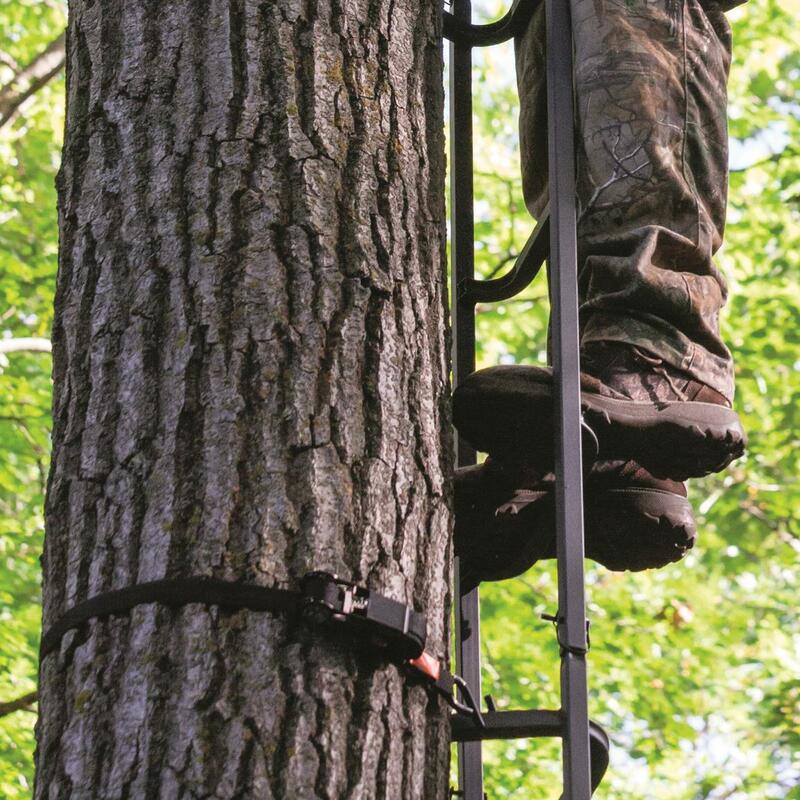 The Rivers Edge Big Foot Tree Ladder is the safe, easy way to climb into your tree stand. 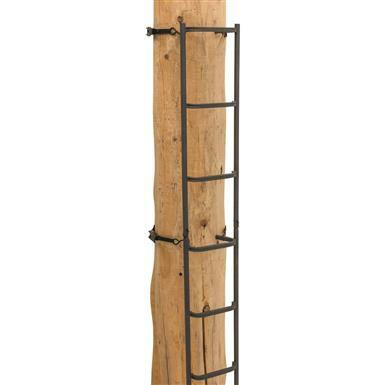 It features a dual rail design that's wide enough for both of your feet and comes equipped with handrails and a TractioniteTM non-slip coating for superior grip and safety. 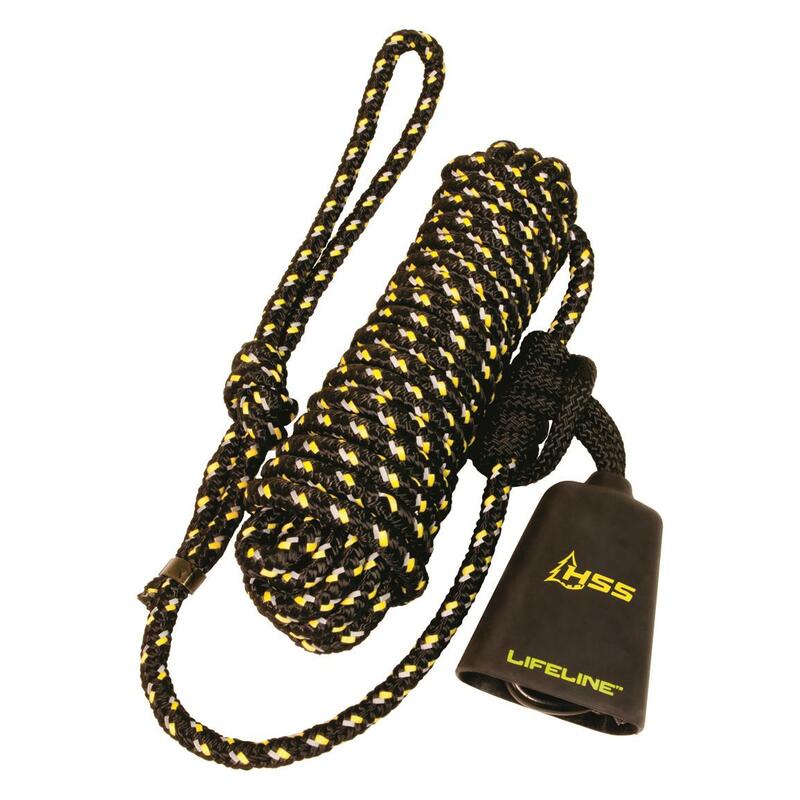 Plus, it even comes with a FREE LifelineTM safety system! 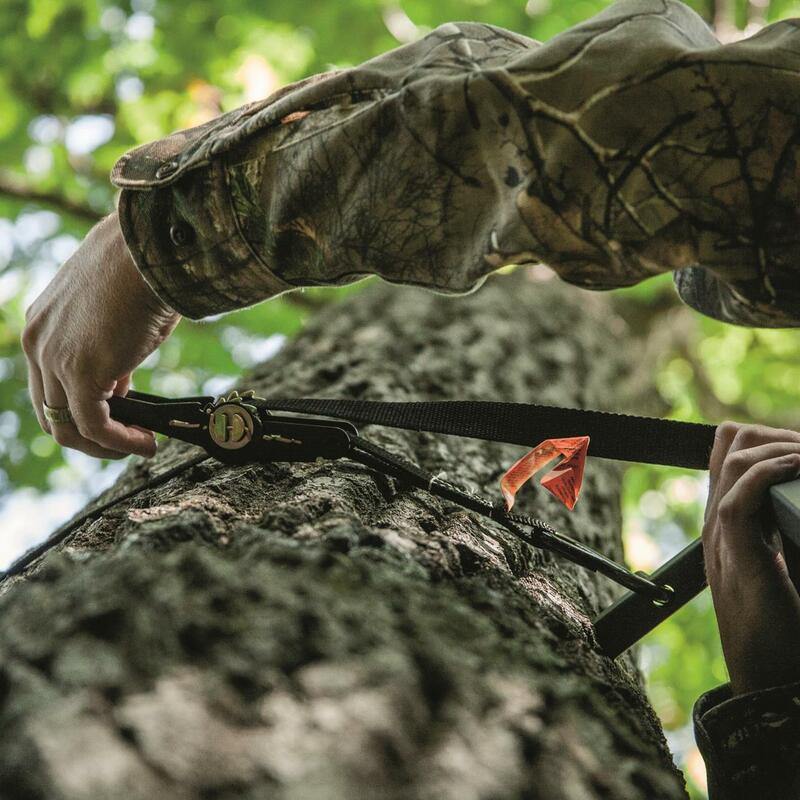 Great for use with hang-on tree stands and homemade blinds. 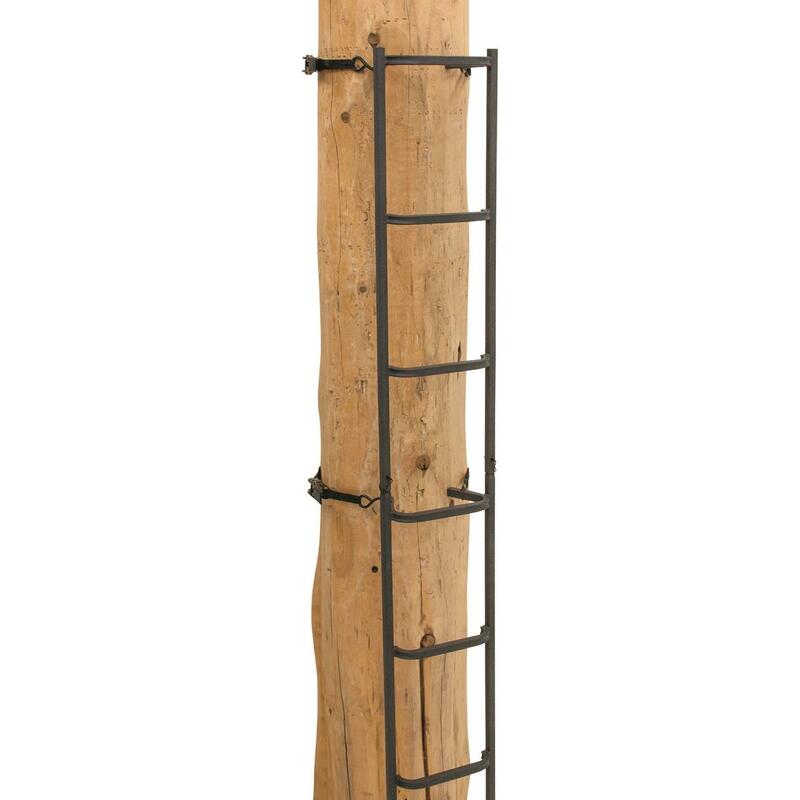 Tree Diameter Range: 8" - 20"